According to SEO Guru, Chris Sherman, two thirds of individuals perform online searches based on offline marketing efforts. As a direct result of their online search efforts, 40% of them will end up buying a product or service from that store. In this age of internet marketing, it is still hard for small and medium sized businesses to measure the effectiveness of integrating online marketing efforts into their mix. However, the overall numbers should certainly make it worth a try. Currently, online retail sales only represent about 4-8% of all purchases made in the USA. That means that the majority of all purchases are still being made from traditional brick and mortar stores. So why should offline retailers focus on online marketing and SEO? Because according to BIGResearch, 89% of offline purchases in 2007 were largely influenced by online research conducted by the consumer. Not only that, but TMP Directional Marketing released research data suggesting that approximately 82% of individuals who use local search engines followed up with some sort of offline action such as an in store visit or a phone call. Marketing managers are calling this the ROBO effect (Research Online, Buy Offline). And it seems to be more than just a trend. 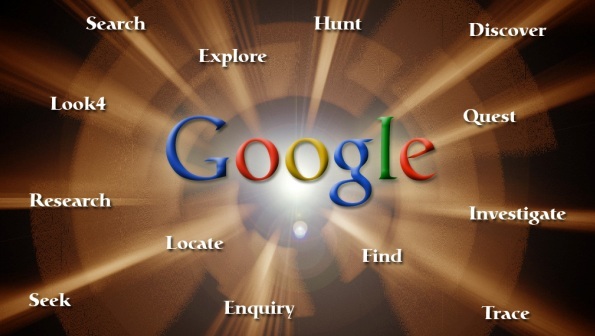 These numbers have been going strong since the inception of search engines and are headed up. In 2007, over $500 billion of offline purchases were influenced by online research. (eMarketer) Jupiter Research estimates that that number will reach $1 trillion in just two short years. Sherman states that this offline/online research/purchasing pattern is a “vicious circle.” Effective offline marketing campaigns will drive people to the web to do more research. In turn, 39% of people who did an online search based on offline information purchased a product from the same company whose ad prompted the search in the first place. Again, individual stores have a hard time measuring the effects of their offline ads in correlation to their online presence. But it’s undeniable that having some sort of searchable online presence will induce sales that wouldn’t have otherwise occurred, or may have occurred somewhere else. 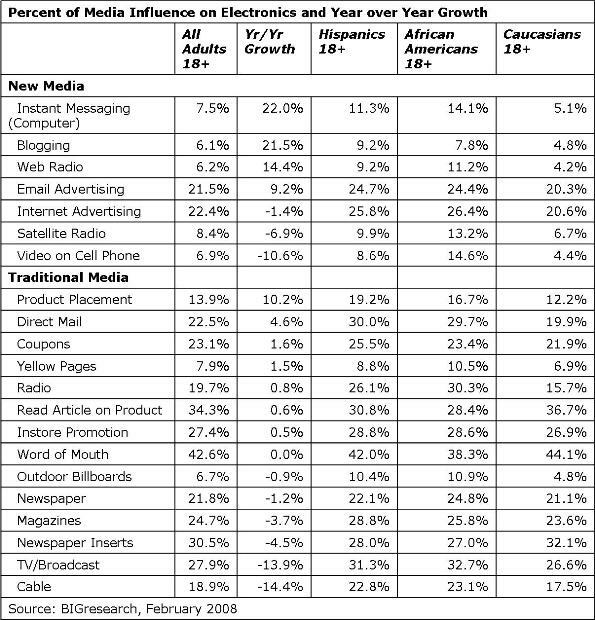 It seems that mostly large businesses are the ones who are desegregating their online and offline marketing efforts. Even so, only 55% of online marketing managers are integrating their SEO efforts with offline channels. For instance, television ads are by far the most effective way to prompt consumers to do a search. However, only 12% of all companies use television as a means of driving people to their website or a search engine. SEO and SEM managers don’t intentionally ignore the obvious channels for driving internet searches and traffic. Most search marketers work for small firms that can’t afford television ads. But don’t worry, there’s hope for the little guys. Get a web address if for no other reason that to blog, draw in consumer participation and offer more information about products. If marketers want to take it one step further, they can offer an 800 number for consumers to make their order. Another option that many businesses like Cabella’s and Payless Shoe Stores offer is the ability to order online and pick up their order in the store that is closest to them. This is a great way to create an online presence while driving traffic to your store. Use the same branding online as you do offline. Colors, logos, tag lines, etc. should all be integrated into your website and online advertisements. Many businesses are using videos, articles and blogs to drive traffic to their website as well. This enables your website address to show up in integrated searches. And lastly, make sure that there is keyword synchronicity between offline and online content. This will allow users to find you more easily. Before and during your website’s construction make sure your target audience knows its coming. Buying your web address and then setting up something aesthetically pleasing or interesting that says “website under construction. You will be able to learn more about XYZ company’s products on January 01, 2009.” Give a date. You’ll be surprised how many people will remember. This of course, brings us to advertising. Although television is the most effective way to prompt people about using a product, businesses can use newspapers, magazines, radio shows, email blasts and even direct mail to get their business name and web address out there. What’s important is that they know who you are, they have some keywords they can use to find information about you online, and they have a web address. The point is to think holistically and use a consistent design and message everywhere so that they will remember who you are and ultimately have you in mind when they go to make their purchase offline. When people search online 36% are looking for news, 31% are looking for images and 17% are looking for videos. Sherman states that “Search marketers should put a priority on optimizing press releases. Optimizing other types of digital assets is important, but should be secondary.” He also states that it is important to know who your target audience is and don’t be afraid to assign them “personas” so that marketing campaigns and in-store customer service efforts can be tailored to them. For instance Best Buy has discovered and named four customer profiles: “Buzz” the techie, “Barry” the wealthy professional, “Ray” the family man and “Jill” the soccer mom. Each one of these identified personalities will receive different kinds of information and product offers in-store and out. Another way to drive up sales in your brick and mortar institution is through the use of social networking. Social networking is essentially online buzz marketing. By creating your own blogs and participating in other companies/peoples blogs and chats you can build up your own image, improve a negative misconception that the public may have had about your business or a product, and offer the kind of information that people need to feel comfortable making a purchase from you. It essentially plays on the power of word of mouth and reviews. Social marketing needs to be done right though. The focus should be on sincerity, responsiveness, and a casual non-sales approach. Social networking (marketing) is especially useful because it involves direct communication with the consumer when they feel least inhibited. They are more likely to give honest opinions and tell you exactly what they think, want and need. It’s like having your own focus group, but better. Many search marketers face organizational challenges when attempting to integrate SEO/SEM into their marketing mix. Stakeholders may see the internet as unknown territory, and therefore are threatened or intimidated by it. They may also have some sort of “vested interest” in keeping with traditional offline marketing techniques. However, by sharing best practice techniques and case studies proving the success that offline and online integration can bring, they may slowly change their mind about it. Good marketing means working smart and knowing your customers habits. Right now all consumers believe that knowledge is power and the internet is a source for both. This makes online search engines a powerful tool for offline businesses if they decide to use it. Remember to think holistically, remain consistent in branding efforts and use it as a part of a larger online/offline marketing campaign. Good written article with lots of data to back it up. It shows again the importance of Search/Online. I have something to say related is People, online entrepreneurs, should be aware that there are strategic systems and strategies that work, and others that simply do not. If you are trying to find shortcuts and software that will allow you to promote better, you will be very disappointed with your results. Absolutely Prz. But with time and effort an online “branch”, or at least an online presence, can give a business a much needed boost during economically difficult times. Even a small boost can be the difference between going out of business and keeping your head just above water.